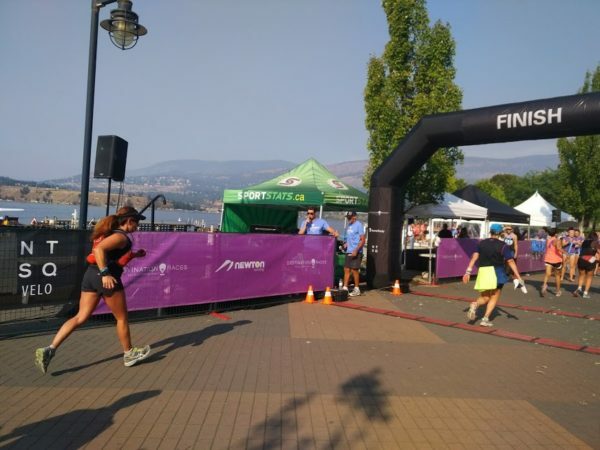 Description: A 21 km/13 mile race through gorgeous Kelowna wine country and waterfront, with scenic lake and mountain views. 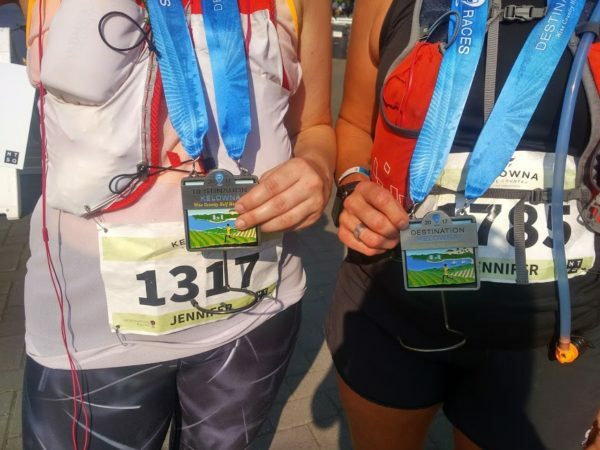 Time: Completion times for the 2017 half marathon ranged from 1:10 to 4:06 (they say 3.5 hours is the cut-off, but there were times registered beyond this). Difficulty: The course is rated easy to medium difficulty. It’s all run on pavement or easy wide trail, but there is a steady uphill climb in the first half. Massive lineups to get the free wine glass (we didn’t bother standing around for an hour in the hot sun for that) – they should have handed the glasses to racers at the finish line. For more information about this race, see the DestinationRaces/RunBC page. 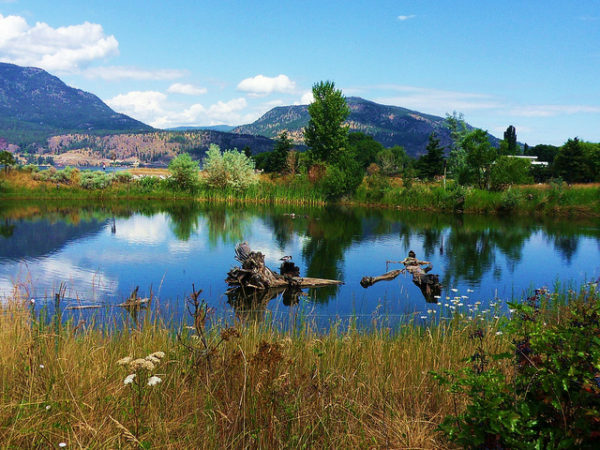 For information about more great running events and hikes in BC, see the main Activities page. *Conditions, routes, and prices may have changed since the time of this writing.